Just like everybody else, I’ll be shopping for backpacks, pencils, notebooks and tons of other back-to-school supplies during the next few weeks. Considering the $12 backpacks and $.97 notebooks I just saw in Target’s sales ad, I’ll be doing most of my back-to-school shopping there. In addition to the back-to-school madness, I now have another reason to visit my hands down favorite store; because I can pick up our family prescriptions there as well. CVS Pharmacy is moving into Target stores nationwide. Target has over 1,500 in-store pharmacies across the U.S. and as of December 2015 CVS Pharmacy will be operating them. The 79 in-store clinics that Target previously offered will be added to CVS’s list of super convenient Minute Clinics. Target and CVS are working together to make a smooth transition for shoppers. Considering that both stores share the same brand colors, CVS seems right at home when I visited Target. But, to answer a few questions you might have at the new partnership, here ya go. If you were already a Target pharmacy customer, CVS has all your info, you don’t need to do anything, but begin to visit the CVS pharmacy counter inside of Target to pick-up your prescriptions. 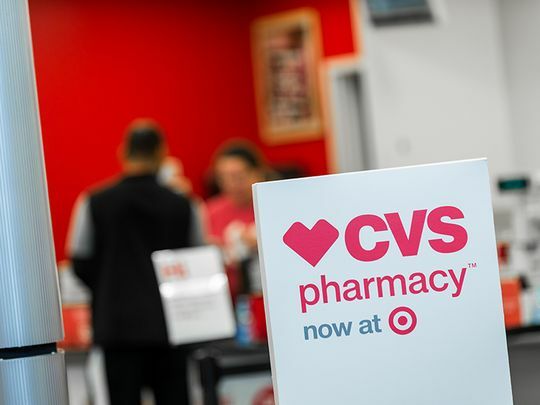 Existing CVS Pharmacy customers can now pick up their prescriptions at any CVS located inside of a Target store. To get more information on CVS pharmacies inside of Target you can visit their website. To better manage your prescription and find a CVS pharmacy near you download the CVS app by texting “App” to CVS-APP (287-277). So, while your out this week picking up those school supplies don’t forget to pick up your family’s prescriptions while you’re at it. CVS pharmacist are some of the most experienced in the industry, and are trained to not just fill your prescriptions but to provide expertise on how to fit your medicines into your lifestyle. Got questions? Visit the CVS at Target website. This is so cool that they are merging the two, this will be totally convenient for moms.